The Chacoan Great House and Chimney Rock’s twin pinnacles will get national monument status Friday, when President Barack Obama will upgrade the 4,700-acre site. President Barack Obama will declare Chimney Rock Archaeological Area a national monument Friday, ending an effort that was three years – and a millennium – in the making. Obama will use his executive power to declare the monument from Washington, D.C., and two of his cabinet secretaries will attend a ceremony Friday at the new monument between Bayfield and Pagosa Springs. Colorado’s members of Congress have tried since 2009 to get the monument established. 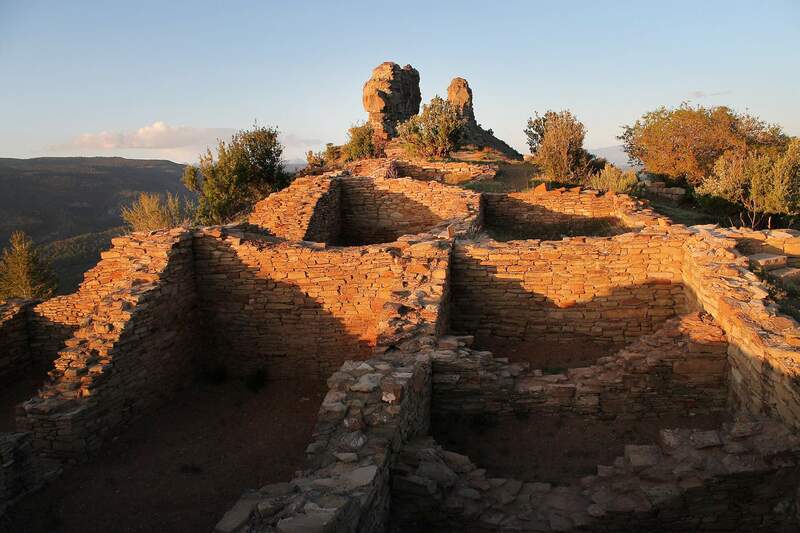 The archaeological area safeguards the ruins of a thousand-year-old great house connected to the Chaco Culture of present-day New Mexico. The settlement also is a sort of lunar calendar, where every 18.6 years, the moon rises between the two spires of the famous rock formation. “It’s incredibly gratifying to know that this work will be helpful to ensuring Chimney Rock is around for another thousand years,” said Denise Ryan, director of public lands policy at the National Trust for Historic Preservation, one of the groups that lobbied to establish the monument. It will mark the third time Obama has used his authority under the Antiquities Act to declare a national monument. He also established monuments at Fort Ord in California and Fort Monroe in Virginia. The Durango Herald reported Aug. 3 that Obama was set to act on Chimney Rock, but the timing was unclear until Wednesday. Status as a national monument will raise Chimney Rock’s profile and ensure protection of the 4,700-acre site. Agriculture Secretary Tom Vilsack and Interior Secretary Ken Salazar are expected to attend a Friday ceremony at Chimney Rock, along with U.S. Sen. Michael Bennet, D-Colo.
“Chimney Rock contains the rare combination of a spectacular geologic formation with extraordinary cultural, historical and archaeological significance. Coloradans have made a strong and clear case that those attributes should be matched with national monument status,” Bennet said in an email. Bennet, Rep. Scott Tipton, R-Cortez, and Sen. Mark Udall, D-Colo., wrote a letter to Obama this summer, urging him to consider declaring the monument after their bills stalled amid partisan squabbling in Congress. Tipton sponsored and passed a bill in the House to establish the monument. It differs from Bennet’s by forbidding extra money to be spent on the monument. Tipton’s spokesman, Josh Green, said the congressman would have preferred that Congress acted. “It would have been great to see our version of the bill move through the legislative process. We wanted to keep it at no cost, with no additional spending. We wanted Indian tribes to have the ability to continue using it for spiritual ceremonies,” Green said. However, leaders of the New Mexico pueblos that are home to the descendants of Chimney Rock applauded the news. “The story of my tribe, the Pueblo of Acoma, and our history is intimately connected to Chimney Rock. This place is still sacred to my people, and we are glad to see it will now be protected for our children and grandchildren,” said Chandler Sanchez, chairman of the All Indian Pueblo Council, in a news release. Tipton’s main opponent, Democrat Sal Pace, said the Republican has been a stumbling block for Chimney Rock because he backed a bill that would have taken away the president’s sole authority to declare national monuments. “If it was left in Congressman Tipton’s hands, this designation would never occur,” Pace said in an email. Archuleta County Commissioner Michael Whiting was among the many local officials who pushed for the designation. He said work on Chimney Rock transcended the typical Washington gridlock. “This designation is what happens when we operate on the level of our shared values, values such as reverence for history and the natural world,” Whiting said in an email. Friday’s events are slated to begin at 11 a.m. at the Visitor Center. jhanel@durangoherald.com. Herald Washington correspondent Leigh Giangreco contributed to this report.